How does Pinterest work? 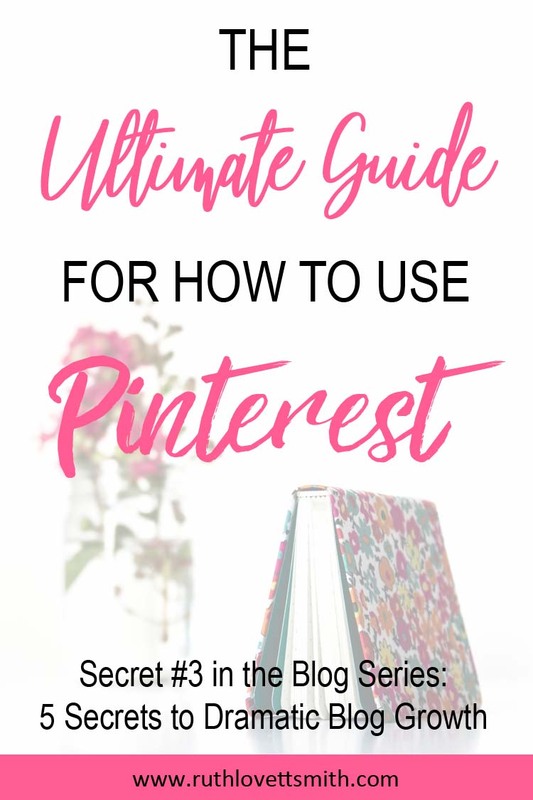 Learn how to use Pinterest for business & blogging + discover genius Tailwind Pinterest tips in this how does Pinterest work guide. You might be wondering, how does Pinterest work? How to use Pinterest for business and blogging is a hot topic right now. Everyone is talking about how Pinterest is driving HUGE amounts of traffic to their site. And everyone has a different plan on how to best use Pinterest. But how does Pinterest work? And what should YOU do? It can be confusing. Today I share secret number three: How Does Pinterest Work + Genius Tailwind Pinterest Tips. So what is Pinterest, and how does Pinterest work? Why should you be using Pinterest to grow your blog and business? And how can you make the most out of Pinterest? I’ll cover all of that and more. What is Pinterest and How Does Pinterest Work? You may or may not know that Pinterest is a search engine. Even I call Pinterest a social media platform from time to time. However, the truth is that Pinterest is more like Google, and less like Instagram or Facebook. If you can truly see Pinterest as a search engine, you are that much closer to understanding how to use the platform to increase your blog traffic. A pin is an image on Pinterest that links to an article on your website. Think of a pin as an advertisement. For example, say a user searches Pinterest for Chicken Salad Recipes. 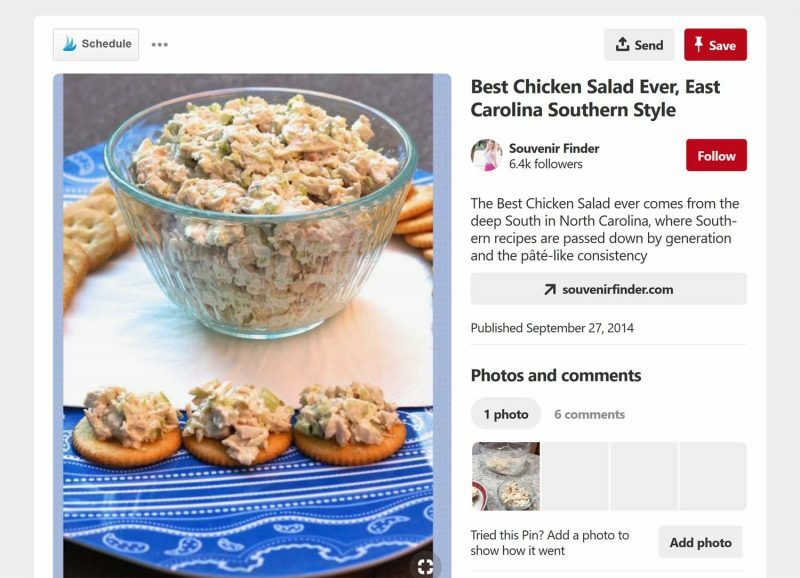 Hundreds of images (or pins) advertising Chicken Salad Recipes will appear. The user clicks on a pin, that draws them in, and they get more information (in the pin description) as well as a link to the website that the pin represents. Look at Pinterest as another tool to reach a new audience, increase your readership, and grow your blog. According to Omnicore Agency, Pinterest has 175 million monthly active users. And 87% of pinners have purchased a product because of Pinterest. This means Pinterest is full of users looking to buy something. Get yourself in front of those buyers and the opportunity to sell your own product or service goes up. If you don’t sell a product or service, no worries. Pinterest is still full of millions of users searching for a variety of information. Offer up great content, that is searchable/findable on Pinterest, and watch your Pinterest blog traffic explode. I’m going to assume you already have a Pinterest account. If you don’t, head over to Pinterest right away and create one. The next step is to make sure your Pinterest account is a business account. To do this, go to your Pinterest settings. A business account comes with additional options that will increase your visibility. For example, rich pins. Rich pins are pins that give extra information. There are product pins, recipe pins, and article pins. Article pins include a headline, author, and story description along with the pin. A regular pin just shows a headline. Remember how I said Pinterest is a search engine? Keep that in mind when creating pins. Each of your pins should have a vertical image, headline, and pin description. You may also add hashtags (#keywords) as well. Add relevant and searchable keywords to your to your headline and pin description. This will help Pinterest to sort your pins, place them in the right categories, and display them in relevant searches. No keywords means less visibility. A great way to find keywords is to use the Pinterest search bar. Start typing a relevant keyword, that applies to your blog post, and other phrases will pop up. These are key phrases that Pinterest users are currently searching. Add those to your pin description. Group boards are boards that have numerous contributors, and hopefully lots of followers. When you are a group board contributor, you have the ability to share your pins to that board. This increases your visibility, and enables you to reach an entirely new audience. You can find group boards by using the Pinterest search bar. Just type in your niche, followed by group board and a list of group boards will pop up. You can also find group boards by looking at other Pinterest users boards. A group board will have a circle, with profile images in it, on the bottom left hand side of the board. Once you find a group board you would like to join, take a look at the group board description. Most have instructions for contributor requests. To get accepted into a group board, and to remain in a group board, make sure you follow all of the instructions and rules. Most professional bloggers agree that in order to be successful, you should have a business account and join groups boards. Where things start to get muddy is in how you choose to pin. Some bloggers choose to schedule their pins through a program like Tailwind. Others choose to manually pin only. And many, like myself, choose to do both. I personally choose to pin manually, and schedule pins through Tailwind because I don’t believe in putting all of your eggs in one basket. Scheduling pins, through Tailwind, saves me a ton of time AND distributes my pins during times of high traffic. Then there are Tailwind Tribes, which are like group boards but through Tailwind. Tailwind tribes means more re-pins, and even more eyes on my pins. This all leads to more Pinterest blog traffic. That being said, I believe that Pinterest knows the difference between scheduled pins and manual pins. AND I believe that Pinterest likes having actual users on their site. Therefore, I think it’s important to manually pin as well. Genius Tailwind Pinterest Tip: Pinning can be time consuming, therefore some bloggers choose to loop their pins to save time. Tailwind is currently releasing a SmartLoop feature, however it is not available to all users. In the meantime, you can use Tailwind board lists to loop your pins and save time pinning. I cover this Tailwind Pinterest tip in great detail in my post Pinterest Help: My Everything Pinterest Strategy. Pin more, get more re-pins, get more traffic to your blog. It’s that simple. However, don’t binge pin one day and then not pin for a week. Pinterest, and Pinterest users, will forget all about you. Therefore, make sure that you are consistent in your pinning strategy. There are some bloggers that will advise you to only pin your own content. Then there are other bloggers who suggest posting a small percentage of your content, and a majority of other content. I personally believe that you should pin your own content the most, while still pinning content from other bloggers. Forget about percentages, and Pinterest algorithms, for a moment and think about you, your fellow bloggers, and your readers. If I’m only pinning my own content on my boards, group boards, and in tribes; I appear pretty selfish. Plus, it’s just not very nice. AND I’m probably not following my group board and tribe rules. Not a great way to make friends, followers, or grow my blog. Pinterest is about sharing and collaboration. It’s about curating useful content for other Pinterest users. Be kind and kindness will come back to you. Now that doesn’t mean you should spend hours a day promoting other content. You have a blog to grow, and only so much time in the day to do it. You should do what feels right for you. A new blogger, with fewer posts, might find herself posting content from other bloggers more. A veteran blogger will have more posts to pin and share. Either way, continue to share content from other bloggers. 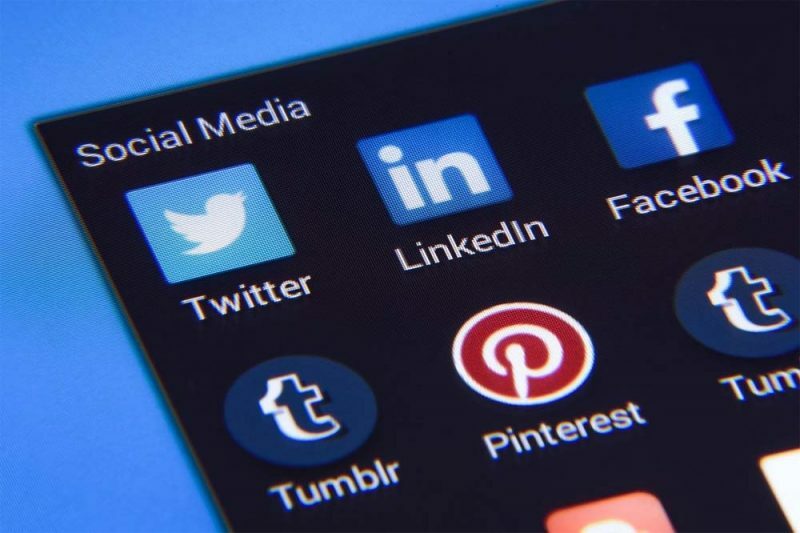 It helps you to build connections, followers, and will lead to more Pinterest blog traffic in the long run. I truly believe that by spending some time, and taking the right steps, you can use Pinterest to significantly increase your blog traffic as well as grow your blog and business. Make sure that your Pinterest account is a business account. Fill your pin headlines and descriptions with keywords. Schedule your pins for optimum times, and manually pin as well. Pin content from other bloggers. I hope you’ve found this How Does Pinterest Work + Genius Tailwind Pinterest Tips post helpful. If you did, please consider sharing it by using the social sharing buttons below.